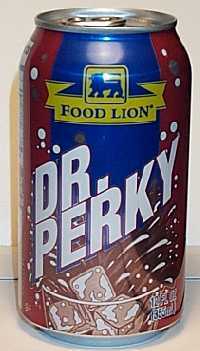 This isn't the first specimen I've had from Albertson's, but the first time I've seen "Dr. Bold". A bunch of us tried this one, along with Dr. M and Dr. Ahh! at Anna's tea party over the weekend, and this one tasted the best (in my opinion, anyway). 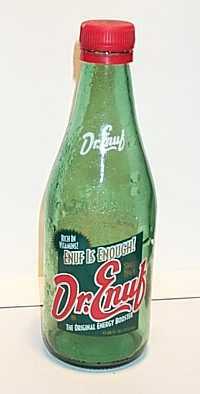 Posted on August 27, 2006 by jdhorne Tagged drpepper	CommentsNo Comments on Dr. Ahh! This one's pretty nasty, but get this: it has both sugar (high fructose corn syrup) and sucralose (Splenda) in it. So, that's 90 calories, yet it still tastes kinda poopish. I think I'd rather it be all-sugar. Not that they'll ever change it, but… just so you know. Anna and I were camping in the nearby Beartree Campground with some of her friends from RIT over Memorial Day Weekend in 2006, when I picked up this little gem. These are notable, because they are wee. Apart from that, they kinda taste like dung. Andrew and I picked up these on a late-night grocery store run while we were visiting relatives in Monroe. This is a citrus-like beverage–a poser, if you will, that seeks glory by copying the name of someone famous. Original 2L bottle subsequently replaced with a can. You’ll be perky all evening while you’re vomiting in the bathroom after drinking this horrible excuse for a beverage. Seriously, this one is extremely foul. It’s by far the worst-tasting imitation that I’ve tried. It’s just truly, truly horrible.